Glad to see some activity on this board! Trinity looking good. Very strong defensively giving up on 3 goals in 5 games. 5-0 record and 24 GF. Should be good test at Hamilton and Amherst this weekend. A lot of good hockey around DIII. Some surprise losses though. Anyone out there follow St Norbert? One of the best games I've ever seen. Thought the major against Salve Regina was a horrible call (I've seen replays since the game and I still think it was a horrible call), and I thought the officials in general were a little favorable to St. Norbert, but it was not the reason they won the game. The game was pretty even for the most part, but there were sections that St. Norbert dominated. I don't remember Salve having any periods of dominance. By the time the game ended, I thought St. Norbert was in much better shape conditioning wise and Salve looked gassed. Great game and congratulations to the Knights. That's twice I've seen St. Norbert in 2OT games in Lake Placid! 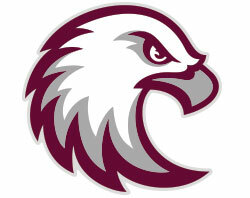 WIAC adds Northland College (Men & Women) for Ice Hockey... men one step closer to AQ (6 currently -- 7 needed). Women still two teams from AQ. Sorry I missed this. I was at the game, Marian was good and represented the NCHA well I thought. Looking forward to seeing SNC at Augsburg next year. Anyone else notice the increasing amount of D3 hockey players from Texas? They must be building rinks there.